Beer and scotch reviews amidst adventure. 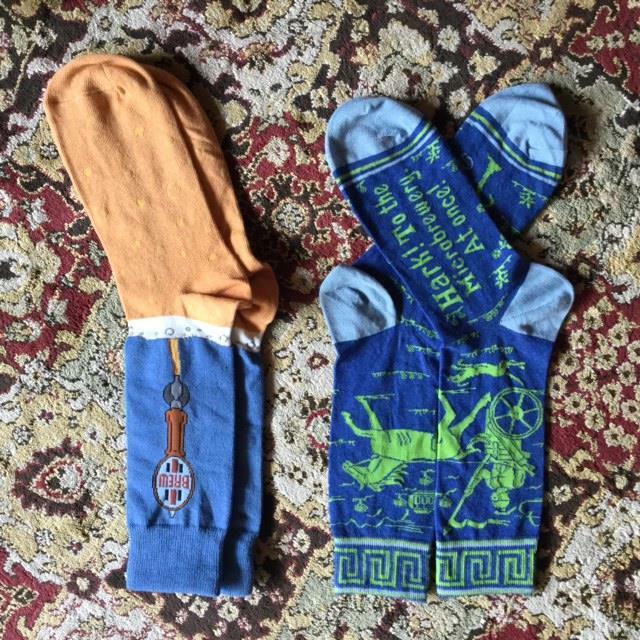 Last summer I was honoured to receive two different pairs of beer socks from family friends. They must have found them whilst browsing in stores and thought of me! Things about her life so you have something entertaining to read. Traveling across the US with Aerinndis (my bike) and a whole lotta love!